From this tutorial you’ll learn how to assign header/ footer section to your site pages. 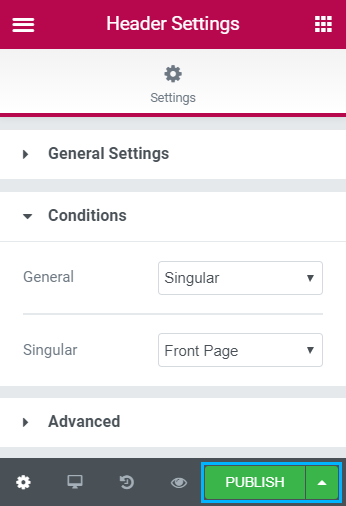 First, navigate to Settings icon at the bottom left Elementor panel. Next, go to Conditions block > General and you will see a dropdown list with the assignment options. 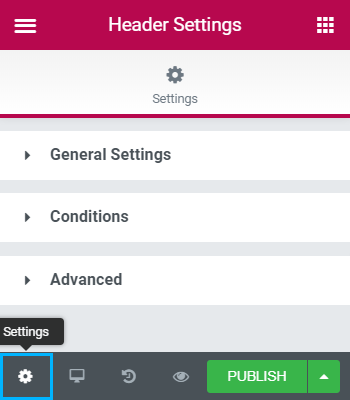 Entire Site option means your header/ footer will be assigned to every page of your site. 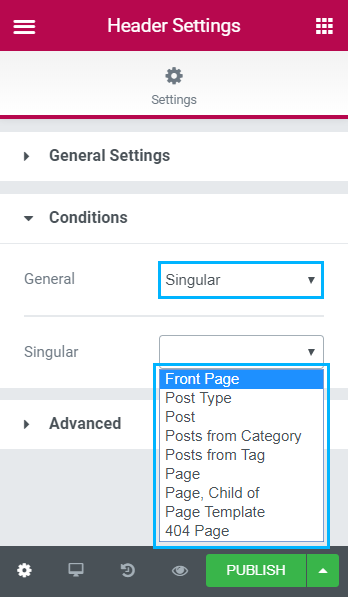 Note, if you select Singular option, you will see a dropdown list of pages. Select the one suiting your needs. 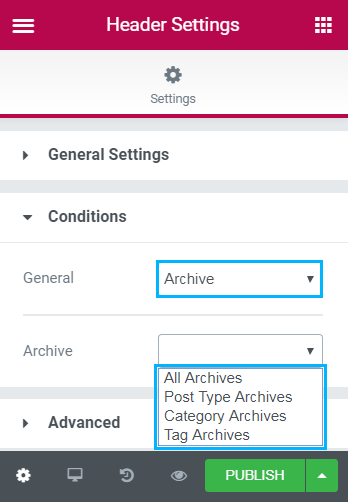 Archive option also shows the list of archive pages available for assignment. That’s all! 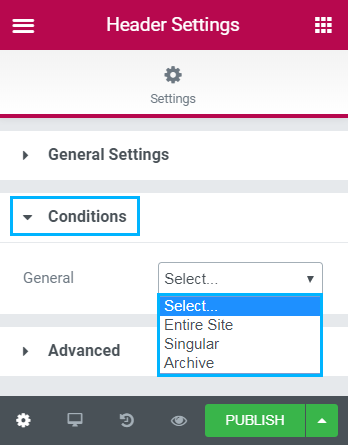 Click Publish button to save the set options.